One of my favorite times of the day is when I get to take a shower and escape reality for maybe just a few moments! I always have a variety of shampoo and conditioners to choose from, body washes and I LOVE using scrubs! I recently ran out of the sugar scrub that I have been using that I bought from Bath & Body Works so I thought I would make my own. 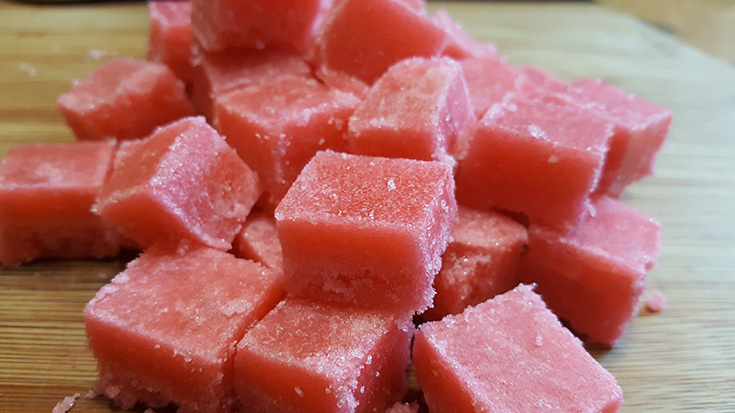 Instead of just a scrub, I made some sugar scrub cubes that smell wonderful. 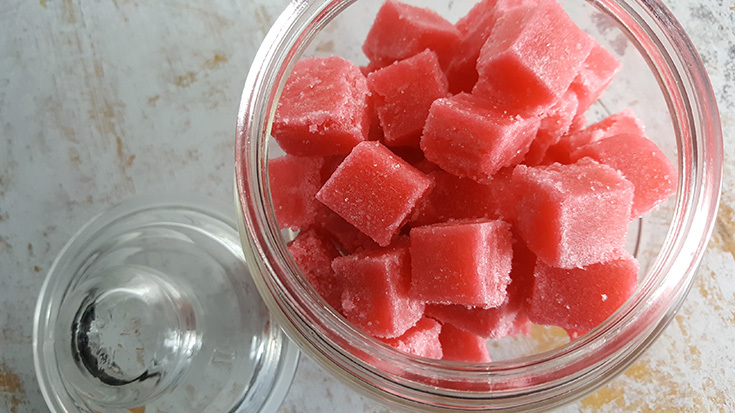 This Sugar Scrub Cube Recipe is easy to make and works great as an exfoliant. 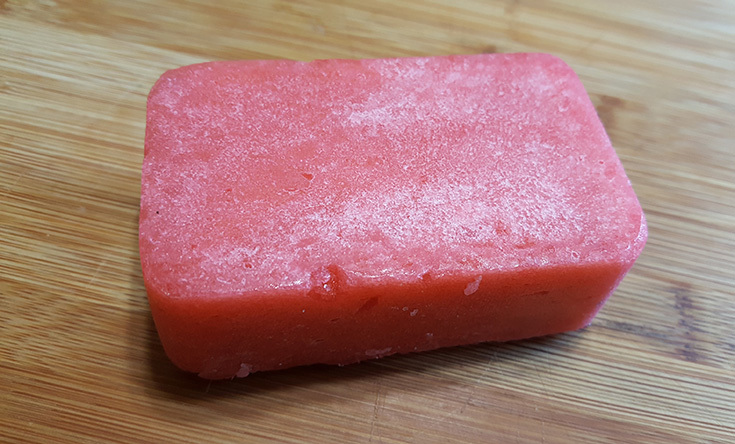 Cut your Melt and Pour Soap base into small chunks which will help it melt easier. Place in microwave and heat for 10 seconds. Stir and place back in microwave another 10 seconds. Never go more than 10 seconds. 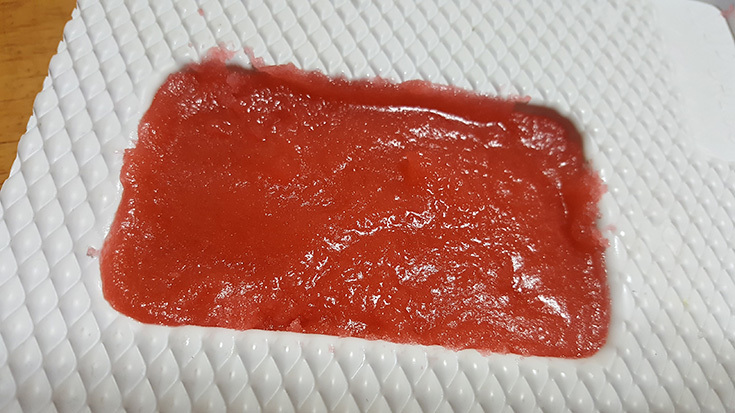 Remove from microwave and add the coconut oil, essential oil and the liquid colorant. I used a Raspberry Liquid Colorant that I had from The Soap Salon. 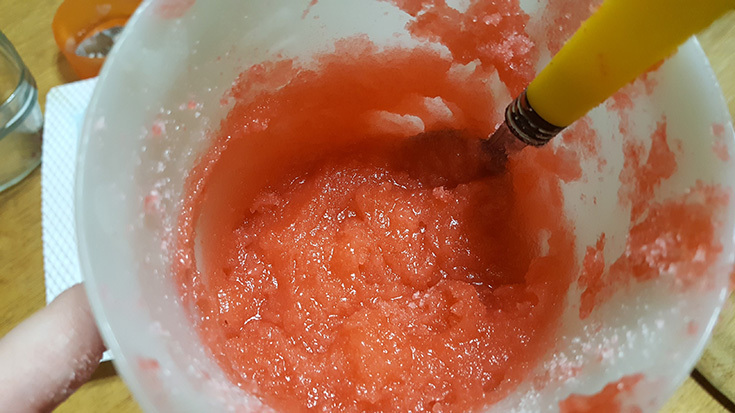 Heat in microwave until 10 seconds until soap/oil mixture warm and liquified but not too hot or it will melt your sugar you will be pouring in next. Pour in the sugar and stir FAST! Stir just until all the mixture is blended. Pour into your soap mold. Tap mold on table to release any air bubbles. Let your mold sit untouched for a couple hours to make sure it properly sets. 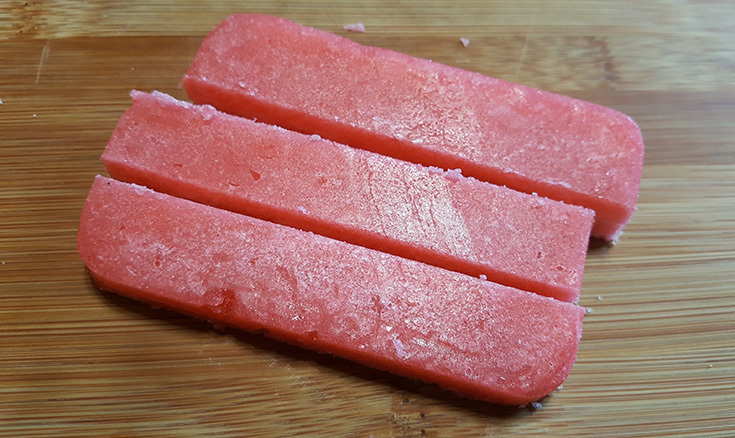 Remove your soap from the mold and put on a cutting board for flat surface you can cut on. Using a sharp knife I cut the bar in half vertically. Then cut those two pieces of soap into thirds. Then cut those thirds into cubes. 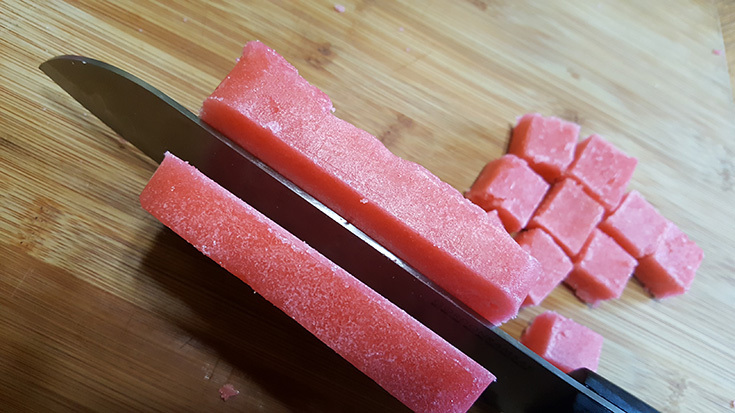 Once you have sliced your bar into cubes, place them in an airtight jar to keep for yourself or maybe even give as a gift! 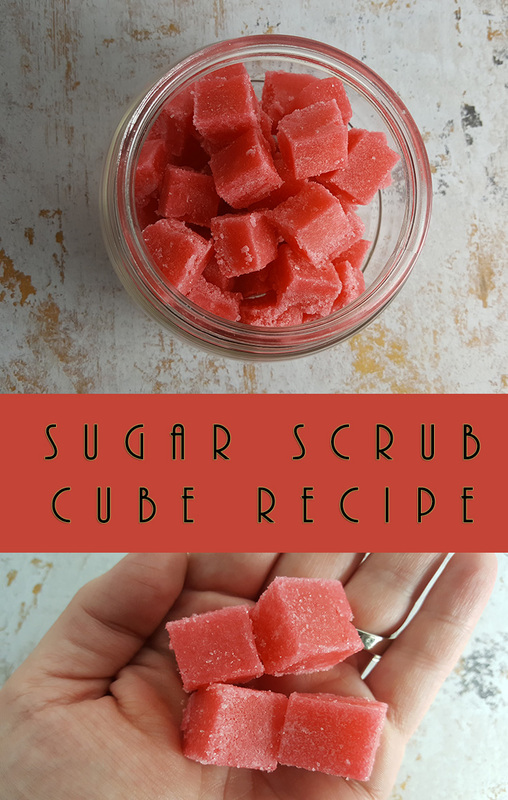 This is a FUN sugar scrub cube recipe that will want to make if you love sugar scrubs like I do. To use these cubes take one in your hand and break it up, add a little water to create some suds and use it to scrub your skin, especially in those dry spots. I love using it on my hands but NEVER use it on your face! 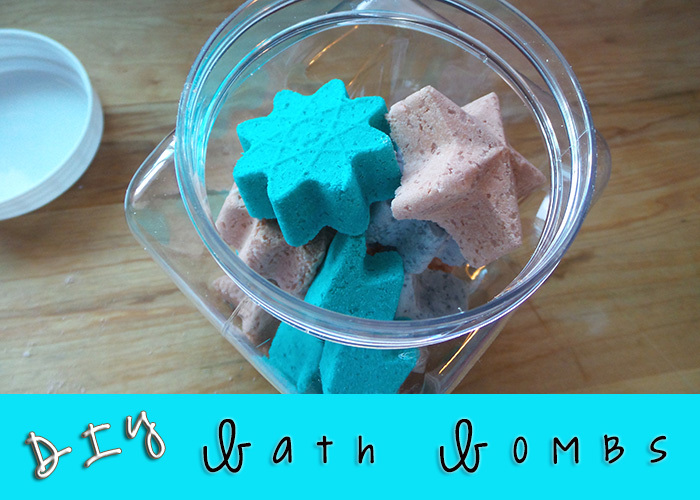 Want to make some bath bombs too? Check out my DIY Homemade Bath Bombs Recipe for even more fun for your bath!